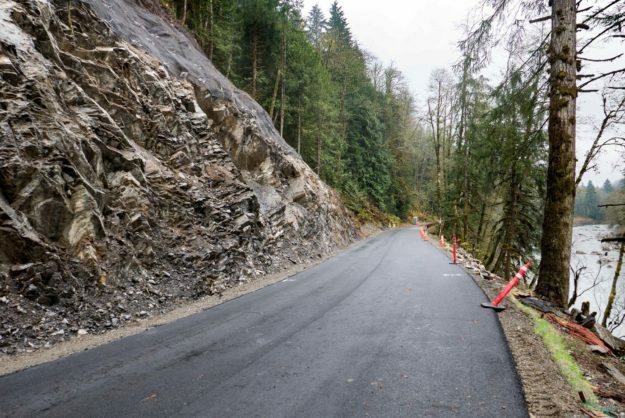 After many years of planning and four years of construction the grand opening of the newly paved Middle Fork road was celebrated on National Public Lands day, September 30, 2017. 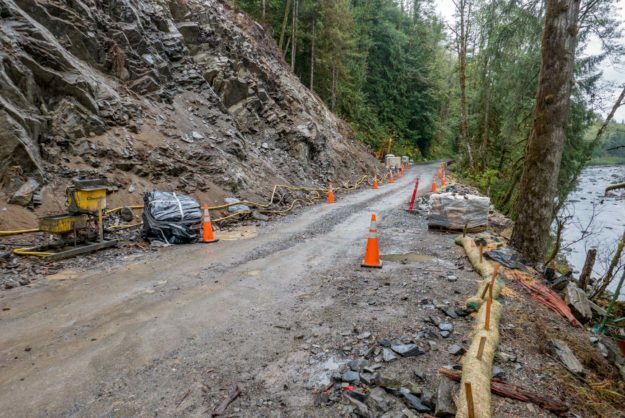 On the same day a ribbon cutting ceremony was also held for the recently completed Granite Creek trailhead and a reroute of a troublesome section of the Middle Fork trail. Multiple work parties were out this day as well, and everyone was invited to the Middle Fork campground for food and beverages to wrap up the festivities. These videos include highlights of the comments from representatives of the many government and private agencies that contributed to these projects. The theme of the day was working together to realize the opportunities presented by the Middle Fork valley. For the sake of brevity, most of the recitals of thanks to various groups and individuals have been edited out, but a full transcription is available here. The Mountain To Sound Greenway also has many excellent photos on Facebook taken by Ray Lapine. It was convenient to have this celebration on National Public Lands Day, but there was still a short section of the road by the TANW1 river gauge that was not completed by this date. That would happen a couple months later when the final bit of pavement was laid down and the last guard rails installed in mid November, 2017. This entry was posted in Granite Creek, Middle Fork Road, Middle Fork Trail on 2017/09/30 by mvanderbilt.